In the spring of 2018, the copy trading market was met with a wave of interest. The method of trading, which allows investors to mimic the strategies of professional forex investors, opened the industry to new participants, building on the growth inspired by the development of mirror trading in the late 2000s. Mirror trading – a method where investors copy trades executed by auto-trading and signal services, rather than successful investors – made investing a far more relaxed experience. Unfortunately, it also failed to win investors’ trust. Copy trading presented itself as a natural evolution: as a tool, it was transparent, trusted and as easy to use as a savings deposit, but with much greater earning potential. Although the idea has been around for close to a decade now, copy trading is still comparatively new to the market and there’s much room for growth. European CEO spoke to Joanna Archer, Product Owner at OctaFX, to learn more about the sector’s coming challenges and opportunities. How is the forex market in Europe changing at present? Now that the European forex market has overcome its own hype, regulators are trying to position it properly within the retail investment sector. The introduction of the second Markets in Financial Instruments Directive, for example, emphasised the European Securities and Markets Authority’s (ESMA’s) desire to make forex more transparent and less risky. Unfortunately, by trying to protect traders from all possible missteps, the initiative also reduced traders’ earning potential. How has copy trading impacted the forex market in Europe? I would say this trend has helped maintain the popularity of Europe’s forex market. The updated regulations introduced by ESMA at the end of last year left many traders fearing that the profitability of their trading accounts would fall. On the one hand, copy trading supports ESMA’s risk reduction and transparency drive; on the other, it provides more opportunities to both experienced and novice traders. This is undoubtedly something that draws clients’ attention. Our research shows copy trading has helped offset the downturn in interest that many expected the ESMA regulations would cause. Why does copy trading exist? What are its biggest benefits? Trading in the retail forex market is statistically proven to be a very risky endeavour – everyone knows that. Yet, forex is still associated with the application of knowledge and the understanding of price formation, rather than simply gambling on price trends. Copy trading allows investors to enter the market and enjoy its potential instantly: you no longer have to study for six years at a university and work for a further five on Wall Street to understand how quotes move. Now, you can simply subscribe to a trader with a successful trading history instead. If the platform is transparent enough, you can even study the market by tracking your investment performance in real time and in full detail. What are the biggest challenges presented by copy trading? The first challenge is the marketing of the service. It is easy to use, transparent and it brings money to investors, but it is not entirely in the control of the broker: the moneymaking side of the business remains on the user’s side. Another challenge stems from the human factor. It’s important to note that even professional traders can fail: no matter how strong a professional’s trading history is, we cannot guarantee their winning streak will last forever. It may end on the very day someone decides to invest with the trader; such misfortune would no doubt spoil anyone’s impression of the service. To manage this risk, investors need to study the trader they wish to invest with carefully. This involves additional work and pushes investors to examine particular people and their strategies, as well as the service and its conditions. We recommend that clients spread their investment portfolios across different traders. With the OctaFX Copytrading app, this part of the process is made easier through the provision of trading statistics and strategy descriptions. Can you tell us more about the app? How is it making copy trading more accessible? We offer an online service and an Android app that are dedicated to one thing: investing. Through the OctaFX Copytrading app, we give users full control of their investments with a clear and friendly interface. The app is perfect for those who are interested in short-term investments and generating a passive income. We wanted to ensure investors had full control of their investments at all times. As such, the app not only tracks the performance of investments, but also provides a range of settings that investors can tune before backing a particular trader, even while the investment is engaged in a market operation. Put simply, once a user has decided how much they would like to invest, they can view detailed statistics and, with the help of handy filters, select the individuals they would like to invest with from a list of professional traders. Clients can then split their investment between traders, setting risk levels for each one individually. What can clients gain from using the OctaFX app? We have created a special wallet in our app that allows users to keep their investment portfolios in one place. Through this feature, investors can easily choose the traders they would like to copy, and split their investments between them accordingly. What’s more, clients can collect any profits in a single payment from the wallet, leaving their core investments to continue working. Users can also preset their risk preferences for each trader before making an investment and adjust these values at a later date to react to changes in the market. The OctaFX Copytrading app, therefore, gives users the confidence to manage their portfolios. On special occasions, we also run promotional campaigns with bonuses for our clients. For instance, we offer investors a free trial, allowing them to copy traders for a certain period of time without paying any commission. This is a mutually beneficial initiative, as professional traders are able to promote their services. 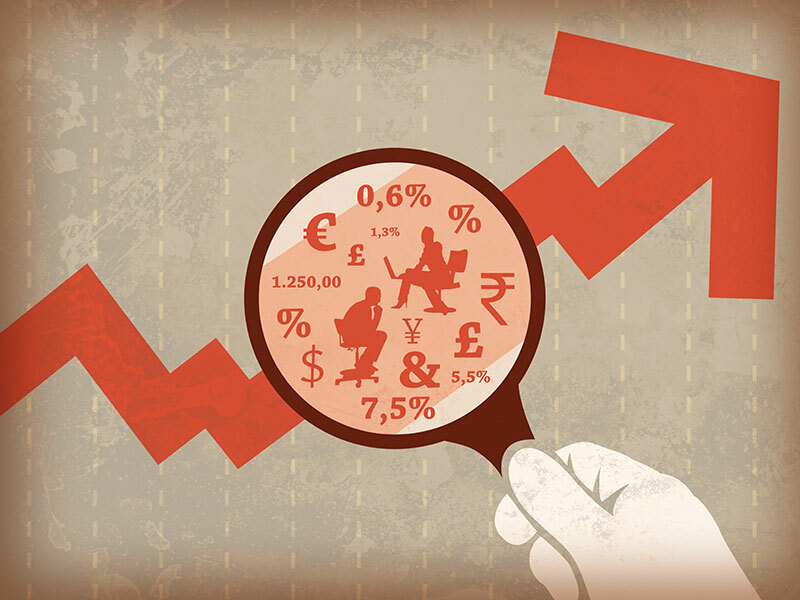 What developments do you see taking place in the forex market this year? The demand for greater transparency in every aspect of how a broker operates will undoubtedly continue to grow. As a result, traders will leverage more effective and precise tools for risk management. Brokers, meanwhile, will have to publish more comprehensive accounts of a trader’s performance, quotes and spreads. As for new developments, I think copy trading is yet to reach its final form. There’s still room for brokers to present a service that people will find even more advantageous. I expect this will be more dependable and have a broader set of features, while being just as easy to use as the current system. Above all, industry players will become more transparent in an effort to increase investors’ confidence in their products.